Andrew W.K. has revealed the title, cover art, and track listing of his upcoming LP, “You’re Not Alone”. The album is scheduled for release on March 2, 2018 via RED Music/Sony Music worldwide, with its front cover image painted by legendary artists Boris Vallejo and Julie Bell. These two masters of fantasy worked closely with Andrew over a six-month period, crafting the painting based on their unique vision. It’s safe to say, nobody has partied harder, longer, or more fervently than the undisputed King of Partying himself, Andrew W.K. A one-man music machine possessed of a single-minded, monomaniacal focus to spread a singular message: That to party is to exist. And to exist is to party. 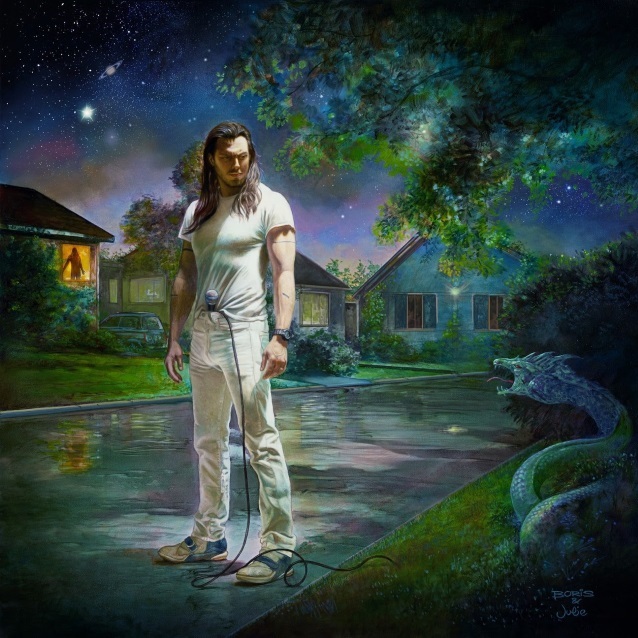 On “You’re Not Alone”, Andrew W.K.‘s first album of new rock songs in nearly twelve years, the party is reborn, delivering everything one would want and expect from an Andrew W.K. record — high-octane, full throttle rock ‘n’ roll powered by buoyant, infectious, and triumphant melodies. His music, always a music of extremes, is relentlessly upbeat and celebratory, while also exploring contradiction and confusion. Andrew W.K. has lived a life built on a belief that to reach a state of grace and acceptance, one must embrace both the shadow and the light, the pain and the joy, all that is known and unknown, the stability as well as the chaos, its speed and torpor. Understanding this, Andrew W.K. suggests, is the foundation of what partying eventually transmits to us. And by harnessing the revelatory power of partying — by celebrating the puzzles and pressures of life – we find the key to change and evolution comes from both inside and out, when we’re together and on our own. That inner voice, the music of our consciousness, becomes our guide. Trust it. Follow it. Through good times and bad, ups and downs, highs and lows. Realize that just being able to hear it conveys something fundamental to your being… you’re not alone. SONS OF APOLLO will embark on its first-ever world tour in 2018. The trek kicks off in Tampa, Florida on February 3 as part of the Cruise To The Edge, which will be sailing to Belize and Costa Maya. Once the cruise concludes, SONS OF APOLLO will perform in Miami, Florida on February 9 as part of the Monsters Of Rock cruise pre-show party. 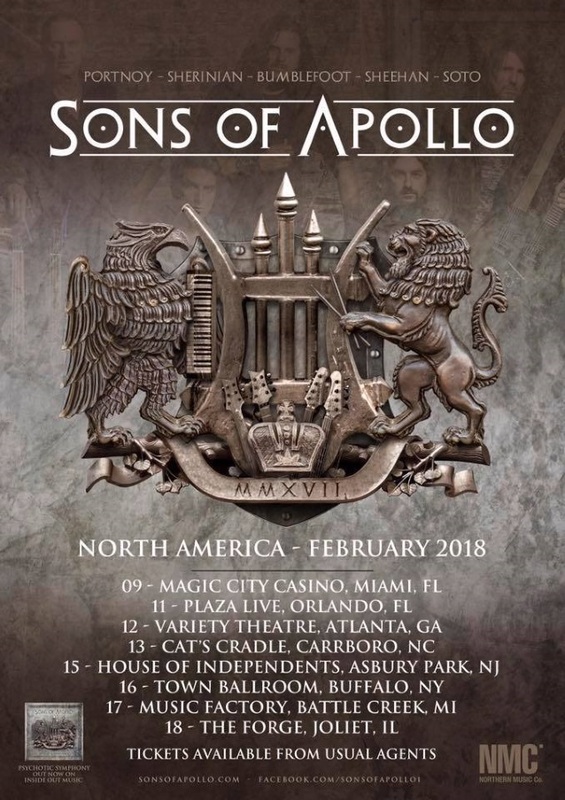 SONS OF APOLLO is the “supergroup” featuring former DREAM THEATER members Mike Portnoy and Derek Sherinian alongside Ron “Bumblefoot” Thal (ex-GUNS N’ ROSES), Billy Sheehan (THE WINERY DOGS, MR. BIG, DAVID LEE ROTH) and Jeff Scott Soto (ex-JOURNEY, YNGWIE MALMSTEEN’S RISING FORCE). 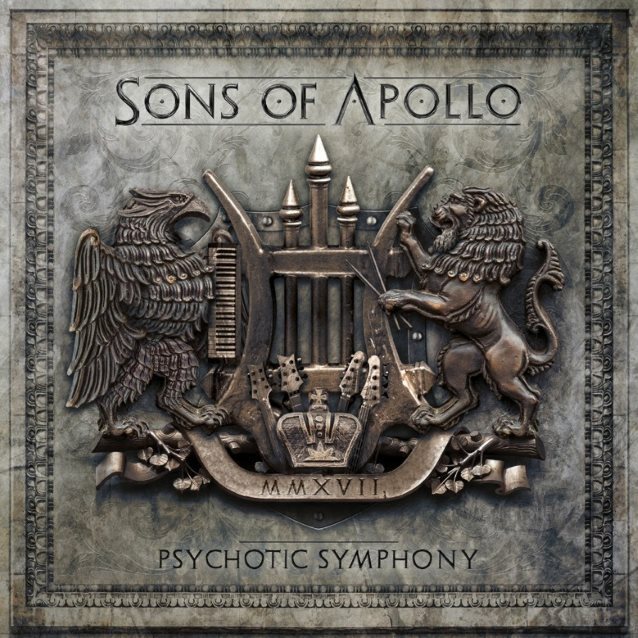 SONS OF APOLLO‘s debut album, “Psychotic Symphony”, will be released on October 20 via InsideOut Music. The disc was produced by the dynamic production duo of Portnoy and Sherinian, also affectionately known as “The Del Fuvio Brothers,” which is the nickname given to them over twenty years ago during their time together in DREAM THEATER. Mike Portnoy, Derek Sherinian and Billy Sheehan previously toured together in 2012 and 2013 as PSMS (along with guitarist Tony MacAlpine), playing all instrumental versions from each of their previously recorded music. SONS OF APOLLO is the next logical progression by adding a vocalist and creating all-original material. The band incorporates the progressive style and individual technical prowess that Portnoy and Sherinian shared together in DREAM THEATER combined with the swagger and groove of VAN HALEN, DEEP PURPLE and LED ZEPPELIN. 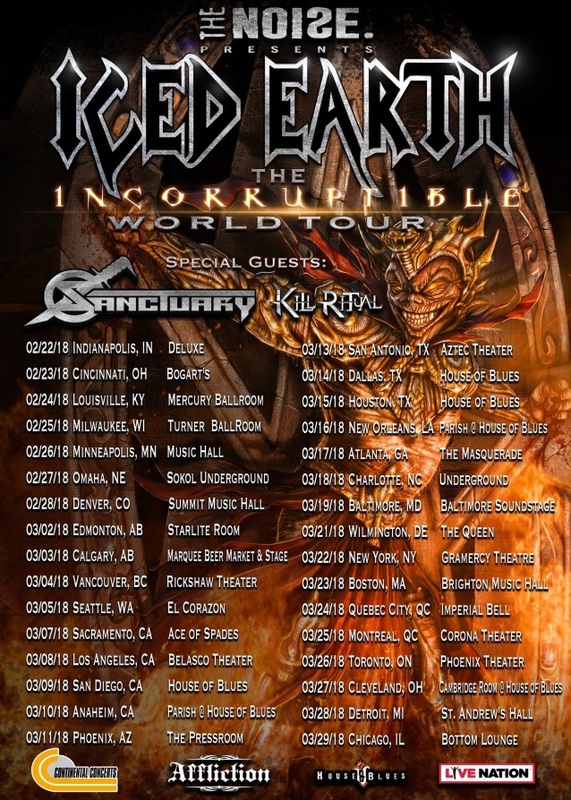 ICED EARTH will embark on the North American leg of the “Incorruptible” tour in late February. Support on the trek will come from SANCTUARY and KILL RITUAL. A special BLABBERMOUTH.NET presale will begin on Wednesday, November 29 at 10:00 a.m. local time and end on Thursday, November 30 at 10:00 p.m. local time. When prompted, type in the presale code “BLABBERMOUTH” to access tickets before the general public. 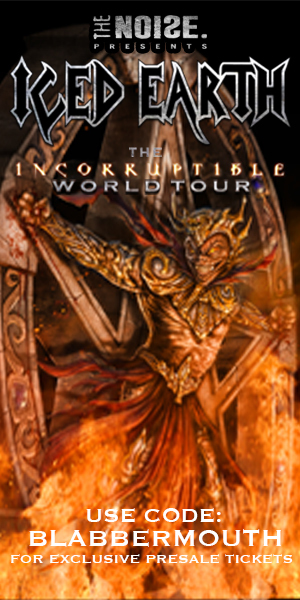 ICED EARTH‘s latest album, “Incorruptible”, was released on June 16 via Century Media. The cover artwork for the disc (as well as additional illustrations to every song) was created by David Newman-Stump from Skeleton Crew Tattoo (pencil illustrations) and Roy Young (colors). Tuomas Holopainen‘s three-track demo earned him his first record deal with his freshly founded band NIGHTWISH back in 1996. 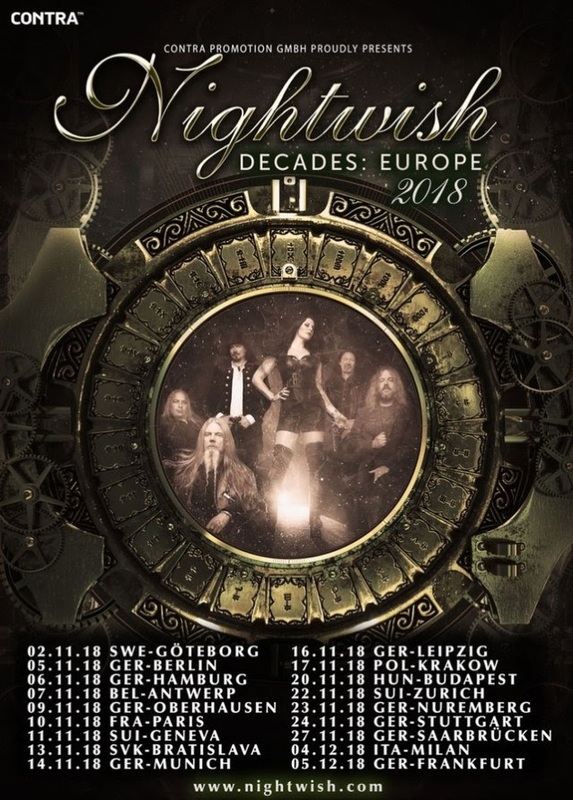 Today, 20 years later — with over 2,000 shows played and more than eight million records sold — NIGHTWISH is the biggest European symphonic metal band. Reason enough for Nuclear Blast to celebrate this huge anniversary by releasing a 2CD compilation titled “Decades” on March 9, 2018. This release will be accompanied by a nine-month tour across the globe. 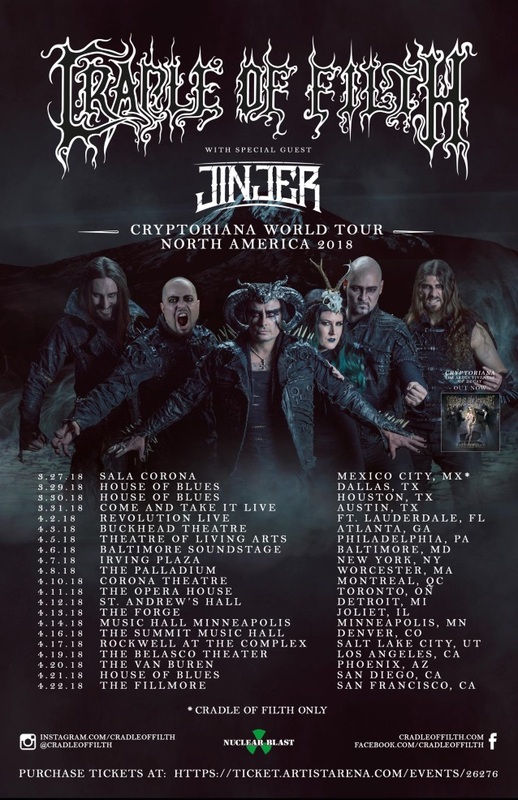 After kicking off with 34 concerts in North America in March-April, the journey will continue with dozens of European festival and headline shows. On this tour, NIGHTWISH will also be presenting a special se list, featuring rare material from the early years of their career. That’s why these evenings will not only be special events for the fans, but also for the band themselves. Be prepared to hear a lot of old school material! Tuomas states: “July 6th, 1996 was the exact date marked on my family’s summer cabin guestbook. On that date, by a campfire, a decision was made to form a band of three members, playing atmospheric acoustic music led by a female voice. 15 months later, this group would release its debut album, and more than two decades later, it would release a compilation including songs from eight studio albums and from the very first demo which gave the band its name. 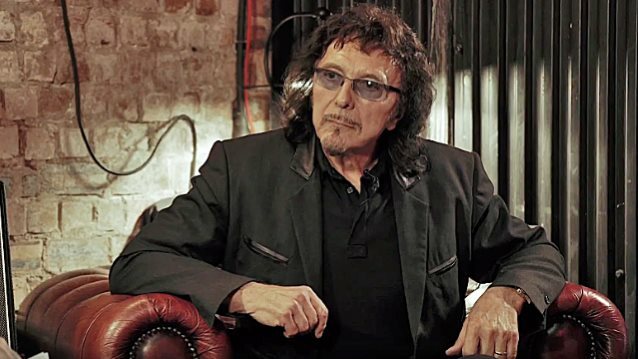 “The infinite freedom and potential I found from songwriting back in the days took me right back home, offering a place to feel free and meaningful. So the roller coaster ride begun, adventures from all sides of the spectrum ahead, making a pit stop at this place and age from where we’re greeting you now. Looking back, the voyage has been nothing short of spectacular. “The best part of it all, though, are the people. The fellowship of the band, past and present, the crew and the management. The relationships created, whether it’s the fans in the front row, guest musicians, other bands, promoters, media, record label staff, or even your own heroes you never thought you’d meet. I’ve met my best friends through music, as well as faced the most unfortunate ordeals, but it’s all been for the love of life and adventure, for learning, and for a meaning. The sense of privilege I feel looking into the past, the present, and future is immeasurable by words. It’s something that can only be expressed through poetry and music. MASTODON, MESHUGGAH, AUGUST BURNS RED, BODY COUNT and CODE ORANGE are among the “Best Metal Performance” nominees at the 60th annual Grammy Awards, which will be held on Sunday, January 28, 2018 at Madison Square Garden in New York City and broadcast on CBS at 7:30 p.m. ET. METALLICA‘s ” Atlas, Rise!”, AVENGED SEVENFOLD‘s “The Stage”, FOO FIGHTERS‘ “Run” and NOTHING MORE‘s “Go To War” were also nominated in the “Best Rock Song” category, while MASTODON‘s “Emperor Of Sand”, METALLICA‘s “Hardwired… To Self-Destruct”, NOTHING MORE‘s “The Stories We Tell Ourselves” and QUEENS OF THE STONE AGE‘s “Villains” were nominated in the “Best Rock Album” category. CHRIS CORNELL‘s “The Promise”, FOO FIGHTERS‘ “Run” and NOTHING MORE‘s “Go To War” were nominated in the “Best Rock Performance” category. Any category with more than five nominees means there was a tie.